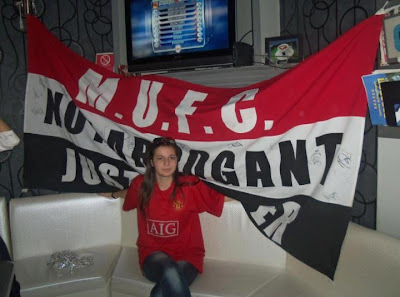 1.Why did you start to support Manchester United? Rosi: I didn’t choose the team by chance, I chose it because United has a history, built with passion, and has all the achievements that are important to be perhaps in the top three best clubs in the world, if not the best. It started a long time ago, in the year of 2004, when I first started rooting for the English national football team. Surely you remember the European Cup in 2004 where the great legend David Beckham played all matches for England, but at the end he ended up disappointed because he missed his penalty against Portugal, so they lost and did not qualify for the quarter-finals where they would have played against Netherlands. But after that I remembered Beckham. But the view does not remove us from the great player Wayne Rooney, who scored four goals in all his matches for England at the Euro 2004. It all started here. Beckham was the one that everyone was talking about quite a bit of time as the great Manchester United player, but it was him, Beckham who transferred to Real Madrid. I didn’t follow his game very much, mainly because this is when I began to take an interest in the great United. But of course nothing was lost because when one legend leaves the club, a new legend rises - Wayne Rooney. Back in England I liked his game and his attitude towards players and football. Just could not resist. Running on the ground leaving the heart for his team, for the win, that was Wayne doing his job. Day after day I supported them, and I support them to this day, where many fans are cheering for them. My love the club grew more and more. 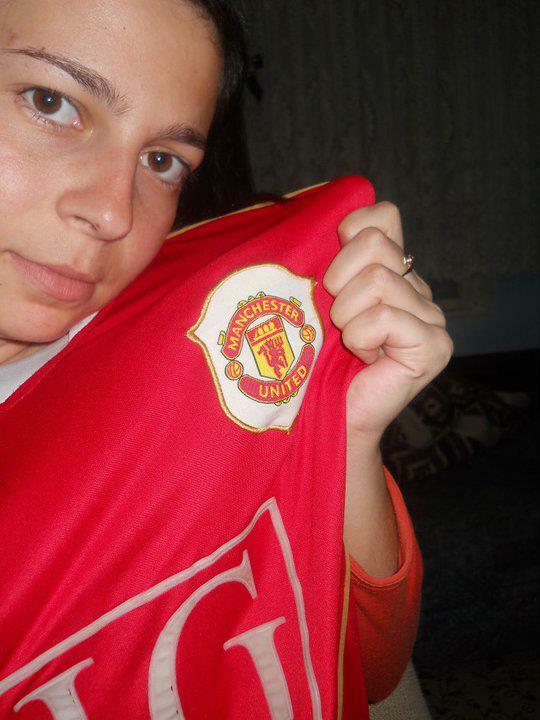 Up to the present I was one with Manchester United. Together we won, lost, cried, laughed. But never gave up. Here we are in that special and unique team. Thus was born my love and passion for Manchester United. Rosi: It is difficult to choose one of them, because the team is so big and good. But if I have to choose one, that would be Wayne Rooney my hero. Rosi:, Beckham, Rooney, Van Der Sar, Scholes, Giggs, Cantona. My favourite one is Rooney. Rosi: Not yet. But it's one of my wishes. Rosi: No, I hope it will happen in the future. Rosi: Best: Winning Premier League in 2010/2011. Worst: Losing the title in the last seconds, last year. Manchester City won in some way. It was a Nightmare. Rosi: Head, in a word. Old, but not too old to win titles yet. He will never quit Manchester United. A Father does not give up his children after so many years. Rosi: Hmm. It is hard to imagine myself as coach of United. I would like to bring back Beckham, Van Der Sar, and I would like to sign Leo Messi preferably. Rosi: When you cheer for a team with all your heart, you want all the players in the team. I do not have someone who I don’t love. Rosi: To get Premier League title back, and of course Champions League. Rosi: No club in the world can’t be compared with Manchester United. It is the single best club in the world. Known for success, and the history it has left behind. It is not forgotten and can’t be deleted. Players who played for it, those who are still playing, and those who will be, and those who left this club as LEGENDS. Because of that we are the BEST.